This will certainly be a blog I look back on multiple times throughout the years. So the pressure of that has my brain spinning as to how I intro this amazing news. 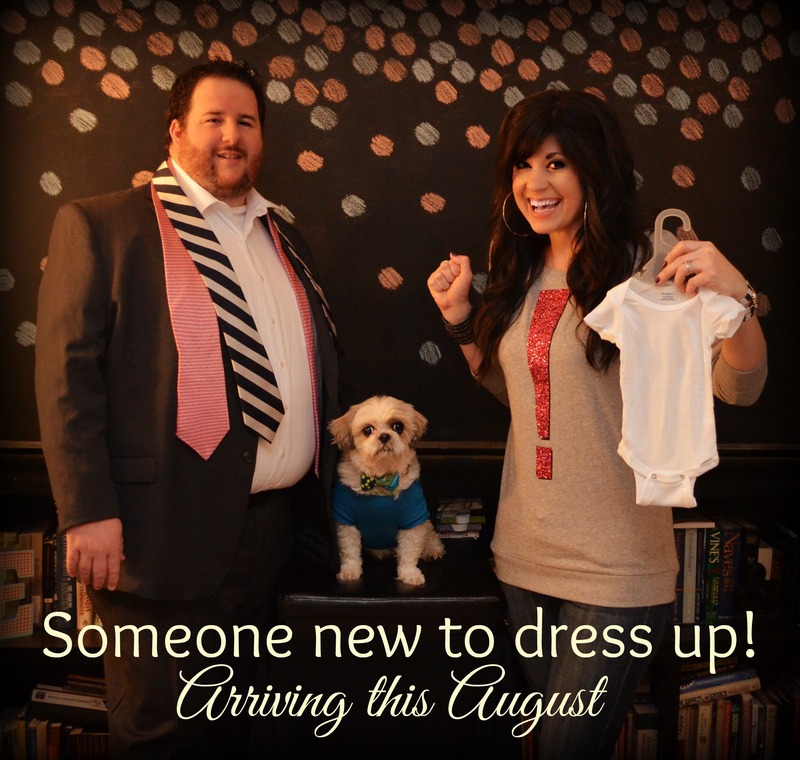 Gosh, I can’t get through typing “we’re having a baby” without tearing up! I’m so happy to finally share it with all of you. And now I can point to the fact that waves of nausea, fatigue and doctor’s appointments are what’s led to me cutting down the blog to three days a week. So I appreciate your patience. It’s such an exciting time! The past couple of weeks I’ve been on what I started calling a “pregnancy tour” where I’ve really been enjoying telling friends and family the good news. And, of course, it’s super special to me to announce it on my blog – what’s been my work baby for the past 4 1/2 years! Thanks for reading and AHHHH!!! I’M HAVING A BABY!!! I had so much fun surprising the girls on the FOX43 morning show the other day…check it out! Congratulations, Elizabeth! I am sooooooo excited and happy for you! You will be one stylin’ mama!